I am going to make a difference and buy some shopping bags for when I go grocery shopping(thanks Natalie for your recent post!). 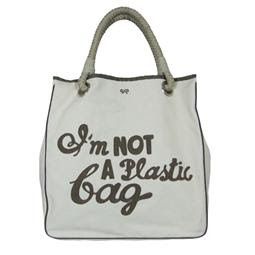 And I’m super excited that Anya Hindmarch’s “I’m not a Plastic Bag” will be selling at my local Whole Foods Market on July 18th. Imagine if we all had our own cloth shopping bags. You too can make a difference! The post I’m Not a Plastic Bag appeared first on Darling Darleen | A Lifestyle Design Blog .